6801301 MO50T YALE MO50T Tow Tractor MO series. Spare Parts Catalog. Service (workshop) Manual. Operator's Instruction Manual. 6801302 MO70T YALE MO70T Tow Tractor MO series. Spare Parts Catalog. Service (workshop) Manual. Operator's Instruction Manual. 6801304 MTR005-E YALE MTR005-E Tow Tractor MTR series. Spare Parts Catalog. Service (workshop) Manual. Operator's Instruction Manual. 6801305 MTR005-F YALE MTR005-F Tow Tractor MTR series. Spare Parts Catalog. Service (workshop) Manual. Operator's Instruction Manual. 6801306 MTR007-E YALE MTR007-E Tow Tractor MTR series. Spare Parts Catalog. Service (workshop) Manual. Operator's Instruction Manual. 6801307 MTR007-F YALE MTR007-F Tow Tractor MTR series. Spare Parts Catalog. Service (workshop) Manual. Operator's Instruction Manual. 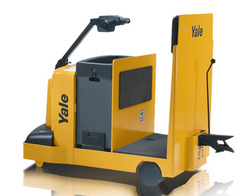 6801308 MTR700 YALE MTR700 Tow Tractor MTR series. Spare Parts Catalog. Service (workshop) Manual. Operator's Instruction Manual.